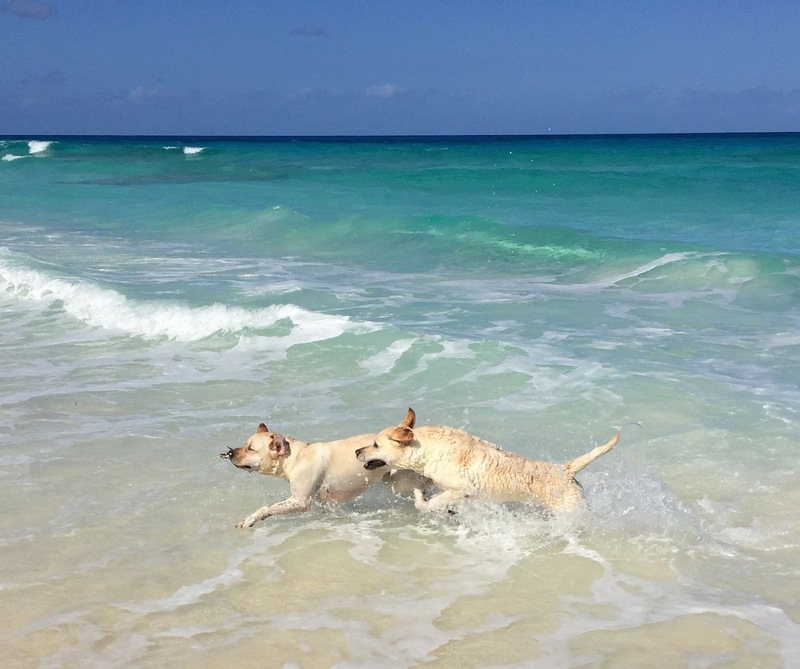 Dylan and Dee Dee pining for Sand Dollar Beach. After 6 weeks, the time has come to pull anchor and head out of George Town. There were many things Dylan and Dee Dee have enjoyed during their stay. But what they will miss most are the afternoon coconut retrievals on Sand Dollar Beach. Today the galley was topped off at Exmua Market. The crew helped with the final toting of water. Mom and Dad have one last talk this afternoon, then we're ready to go. 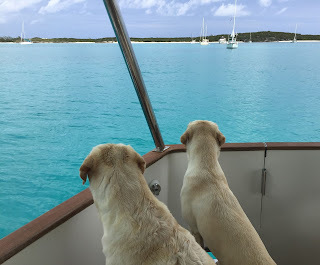 At first light tomorrow, we will bring up the anchor and start heading back north up the Exuma chain towards Great Harbour Cay. 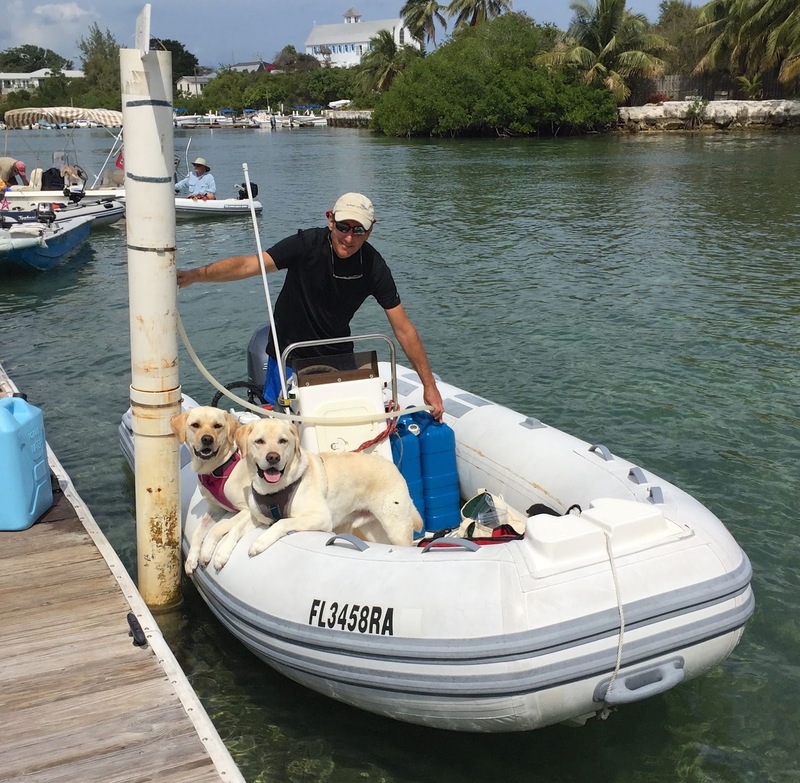 After all, there are more beaches to conquer and coconuts to retrieve, and this crew is up for the task. Looking forward to your arrival, Gracie! Sorry we are going to miss you. We only just got into Georgetown now (Sat night). Depending on how quickly you plan to go up the chain before beating off to The Berry Islands, maybe we will see you. We will be leaving to head to Eleuthra soon. I'd love to continue to exchange recipes with you, though. We can't wait to see you! Looks like you've been keeping the beach ready for us!! Mom and Dad are sorry they missed you. If those "recipes" have anything to do with food, keep 'em coming! We can always wangle some bites from Daddy!